This article looks at the many different ways you can get to Phoenix Sky Harbor airport so you can choose the option that suits you best. Phoenix Airport Shuttle Service - This is really a unique way of making your way to the airport. 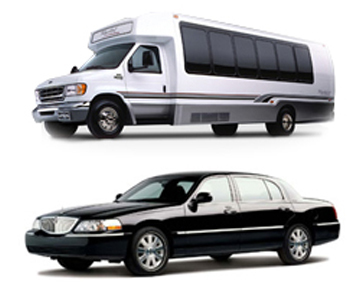 Airport shuttles are small buses that will collect you from your house or hotel and drop you to your terminal. They are designed to have room for your luggage. You must call a day ahead to arrange for a shuttle service to collect you. An airport shuttle service will collect a number of people on the way to the airport, this means it will take longer to get to your terminal than a taxi or car. Be sure to ask for an estimated travel time when booking your collection. Keep in mind that you should always be at the airport two hours before your scheduled departure time. These buses operate from Phoenix and all surrounding areas. Services also run from Sedona, the Grand Canyon and Flagstaff. Some shuttle services have parking lots that are within a short distance to the airport. They offer cheaper parking options than airport parking and run shuttle buses connecting the parking lot and the three terminals, 24 hours a day. Taxi - A taxi service will pick you up and bring you to your terminal. Most taxi operators have fixed airport pricing. Always book your airport cab at least one day in advance. Make sure you ask for an estimated travel time when booking your cab. Cabs are known to be a little late, so make sure to add about twenty minutes onto your estimated travel time to allow for delays. The driver will usually assist you with your bags, but it’s not to be expected. If they do be sure to add to the tip. Car service/Town car - Like a taxi you have to book at least a day in advance. You will be picked up from your house or hotel in a beautiful Sedan or Lincoln town and be driven to your terminal. The driver will be courteous and will always help you with your luggage. The car will be clean and comfortable. These services are almost always on time. Public transport - There are many bus routes that will connect you to the airport. The fastest way to get to the airport by public transport is by using the Phoenix Light Rail. You can get the light rail in Mesa, Tempe and Phoenix. Many bus routes connect to the light rail. Once heading West on the Light Rail you’ll be able to get off at the airport shuttle station where a complimentary shuttle bus will bring you to the airport. Phoenix Transportation and Sky Harbor Airport are currently in the process of building a Train Car that will connect the airport to the Light Rail. If you have a lot of luggage it’s best to avoid taking public transport as you will have to lug it on and off buses and trains.